Once in a while, the CST writers like to step away from our normal obsession over what's happening on the field/diamond/court/free agent marketplace/coaching carousel/scandal rags and sit back with a movie. And even more rarely, we like to write a review of it. I love movies, I just don't have the energy to review them for CST very often. Instead I just revert to the easy, 140 character world of Twitter. Normally to extend my disdain for whatever piece of crap I just watched. Especially with comedies. I mean, I love comedies, but things that make me legitimately laugh out loud are few and far between. 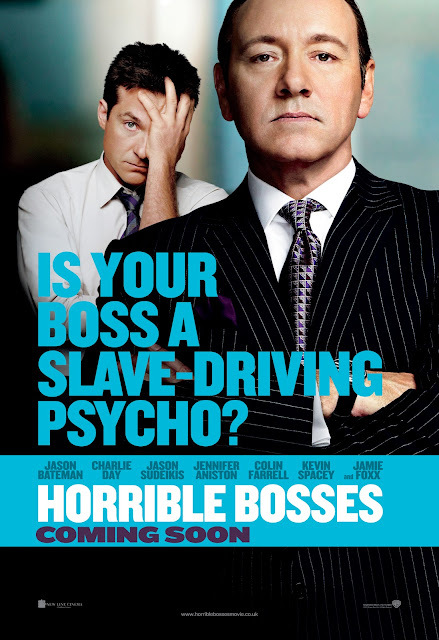 In television, especially, "comedies" like Hung, The Office, and especially "Entourage" were becoming less and less amusing, and more and more like 30 minute light dramas. There are a few exceptions, like 30 Rock, Modern Family, and even New Girl, which has made me laugh every episode. When it comes to movies, however, most "comedies" are just not up my alley. 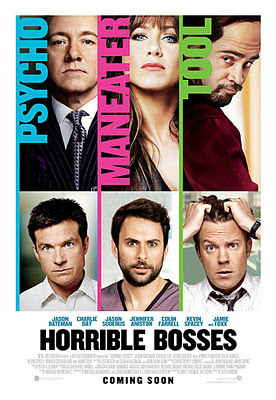 Which is why I was so pleasently surprised by "Horrible Bosses." 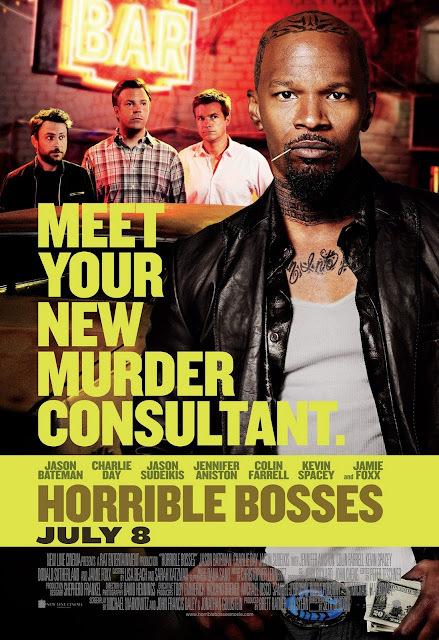 With an all star cast including Jason Bateman, Charlie Day, Jason Sudeikis, Kevin Spacey, Jennifer Aniston, and Jamie Foxx, it had me laughing the entire way through. I won't bother summing up the plot, as its clearly described in the two word title (and in the numerous movie posters below), but if you're looking for a laugh (note: not for kids), pick it up on DVD, Blu-Ray, or however you kids watch movies these days.